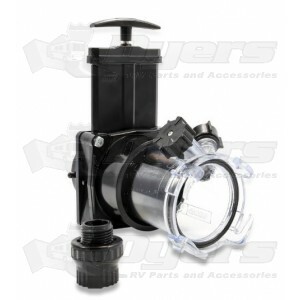 Clean your entire septic system with this reverse flush valve. Forces water back up into plumbing lines to break up clogs in pipes. Reverse flush valve for a complete system cleaning! Allows you to backfill and flush black and gray water tanks, then reverse valve and flush sewer drain hose. Anti-siphon valve included.